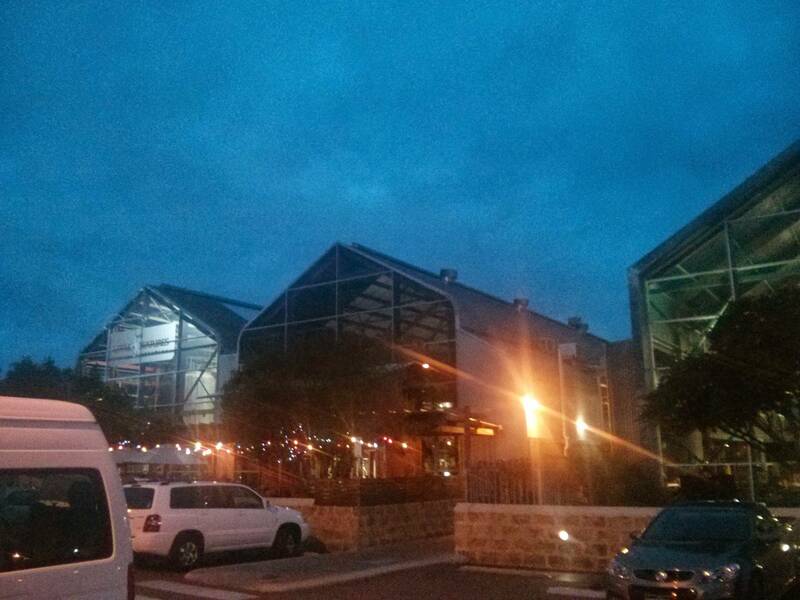 So recently I went to Perth to go to a conference called WAHCKon, which I blogged about. While I was in Perth for an extra day, I decided to have a bit of a look around. Armed with my phone, I checked out of my hotel and walked to town. The locals thought I was crazy to walk that far (around 30 min), but hey, thats how much I usually walk to go to work (usually with more hills as well!). I'd made a plan in the morning to check out the one place in Perth I thought accepted bitcoin (I had seen it on reddit), and then a few breweries around. Oh well, I tweeted my findings, and mentioned to the folks on the WAHCKon IRC channel that I was talking to throughout the day, then went on my way. I found the train station, confirmed that you could get on a train with only cash (these days and your fancy transport cards...). I jumped on a train for Freemantle. This has a few breweries, and what is known as the cappucino strip (lots and lots of coffee places, pity I don't drink coffee). 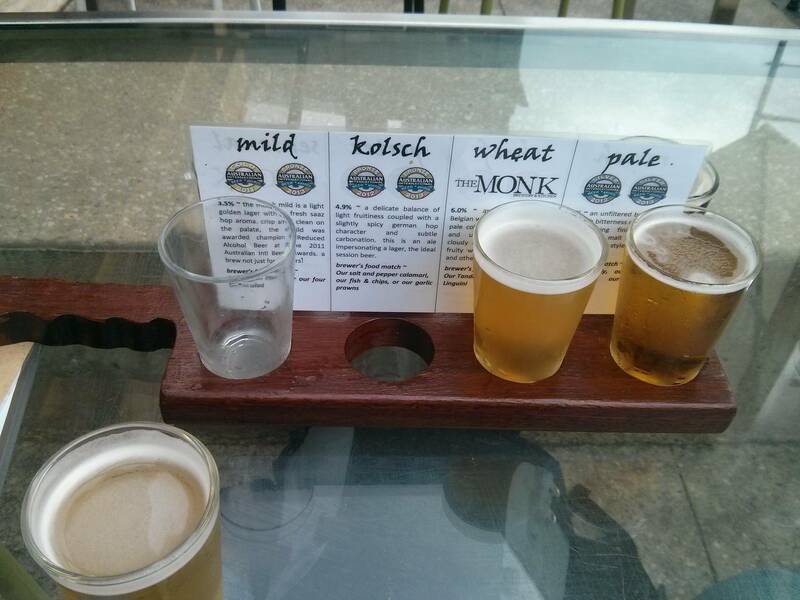 First brewery I went to was a nice place called The Monk, where I got a tasting board and a pizza for lunch. Really nice atmosphere, great weather, good food and nice staff! I would recomment to anyone in the area. Next up was Little Creatures which is a little more well known globally. I signed up for a free tour, and got a pint and found a wall plug to charge my phone. The tour was pretty cool, the guy knew his stuff, and the history. The sheds used to house the brewery used to be a crocodile farm and still had random bite marks where they were trying to get out or something! All started from a tiny brewery, and now has a full restaurant, a garden bar, and an onsite brewery. There was mention of another brewery somewhere else in Perth run by the same guys as well, and one in Melbourne. I finished the tour, got a tasting, then decided to grab a bite as was dinner time, and who knows what the airplane food was going to be like! I headed back to the city, and was going to meet up with a new friend from the conference, but everything was closed on a monday, so just taxi'd to the airport. Long flight with many hops ahead! Back safely in Wellington, til next time.